| Interview by Daniel Codella conducted on August 25, 2010. Out of all the tools at a DJ's disposal (cutting edge audio equipment, beat heavy records, computer controlled lighting, etc), his or her connection with the audience is by far the determining factor of whether the crowd will dance or not. DJ Kramer has been connecting with audiences for over a decade. Known for his distinctive tribal house sound, DJ Kramer gets clubs moving anywhere he plays. 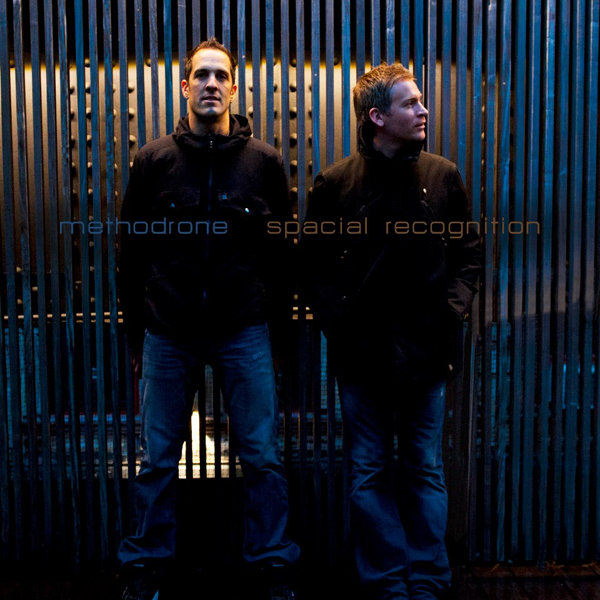 In addition to DJ-ing, Kramer has been remixing and producing his own records as half of Methodrone. With his productions getting placements in televsion shows like "CSI: New York" and video games like "WRC FIA World Rally Championship", Kramer is always on the prowl for top quality music making tools and sample sets. Armed with the Discrete Drums series, DJ Kramer emailed to let us know what he's been up to and how tools by Sonoma Wire Works' Discrete Drums product line are helping him make crowds go wild. So how did you get into DJ-ing professionally? Back in the mid 90's I was living in Los Angeles but I had a lot of close friends here in San Francisco who were in the underground house music scene and many of them were DJs. I'd come up a lot to hang out, go to parties and and really got into the underground scene which just didn't exist the same way in LA. After playing around with my buddy Chris' turntables and getting the hang of beat matching, I was hooked very quickly. After a few more years in LA, I decided to move to SF in 2000. With the tail end of the dot com boom going on, I was DJing 2-3 times a week and making pretty good money. After about 6 months here, the internet startup I worked at got acquired by another company and I got a pink slip. Instead of trying to get a job in a difficult market, I decided I'd do what I loved instead, so I ramped up my DJing. Shortly after I had a residency with Release at 1015 Folsom, another at Nectar in Cancun, Mexico and a third in Cleveland at Moda Nightclub. It's just grown from there ever since. You are known for your distinctive tribal sound, where did you first come across it? Well, I really started out playing pretty much strictly Progressive House. But when John Digweed's Global Underground "Sydney" mix came out, it really grabbed me. It had not only Progressive elements to it, but this dark, drummy, tribal sound that really resonated with me. Tracks like Danny Tenaglia's "Elements" and Shapeshifter's "Flood" became my anthems. That is still one of my all time favorite albums. Lately you've been getting placement and earning praises for your production work as half of Methodrone, how did that partnership come about? My production partner Scott G and I met when we both worked at Apple years ago in San Francisco. We talked quite a bit about making music, like for about 2 years, and we just never were able to make it happen. Then he moved to New York City which seemed like it would be a serious road block. But, we kept talking about it until I booked a flight out to NYC for a week and we holed up in the studio for 5 days straight and wrote 11 tracks, some of which made up our first release "Nonlinear Reality" (Looq Records) and the rest which will be on our upcoming followup album "Where is the New World" (also coming out on Looq Records). With 11 tracks in a week, we new we had a solid partnership and it's musically grown and matured ever since. What is your workflow like in Methodrone? Well, due to our living on different coasts, our work flow is a bit all over the place. We try to get together to work in person every few months in either San Francisco or New York, but a lot of times we work via FTP sharing. We use Ableton to sequence and mix our tracks, so one of us will get started on a project, then we'll do a "Collect & Save" and upload the file via FTP to our server. That way at any time, either of us can pull down the project file and do some work on it. Of course, that does mean we always have to have the same gear and plugins running which sometimes is a challenge to keep up with if one of us does an upgrade. We're pretty good at keeping things in sync though. Of course, we both prefer to work in the same room when we can! Recently you got the Discete Drums sample libraries, what did you think of the sounds? Have they found their way into any of your productions? I am loving the Discrete Drums libraries. The samples are really clean and of such high quality that they add a whole other dynamic to the music. A lot of times sample libraries sound cheap and don't have rich, true sounding sample which causes them to stand out compared to the software samples we'll create. The DD samples fit right in and sound great. We've used them in our two most recent remixes, our Methodrone remix of Jondi & Spesh's "We Are Connected" and also a remix of Momu's "Space Pimp." I am also using them for a remix Im currently working on for Myagi's "Chaos." What's next for DJ Kramer and Methodrone? There's a lot going on actually. Spring is here and my DJ schedule is starting to fill up for the Summer. Especially, looking forward to my favorite gig at the end of the summer at my camp DISTRIKT at Burning Man. As for Methodrone, we have been quite busy with releases and licenses. We've just had a few tracks from our album "Nonlinear Reality" licensed, one to the season premiere of "CSI: New York" and a two others to the video game "WRC FIA World Rally Championship" which we're quite happy about. Our label Looq Records has recently released some great remixes of our track "s4D" and remixes of our track "Slow It Down" are finished and in the Looq pipeline. Our followup EP album is set for release on Looq in June of this year which we're really looking forward to as well. Scott and I have studio sessions planned for the next few months, so we'll be wrapping up a whole bunch of new material soon. We're also working on a live Methodrone set which is exciting. Where can our users hear more of your music and find about what you are up to? And watch for the DISTRIKT Podcast launching Thursday April 7th. Subscribe via iTunes. "I am loving the Discrete Drums libraries. The samples are really clean and of such high quality that they add a whole other dynamic to the music. A lot of times sample libraries sound cheap and don't have rich, true sounding sample which causes them to stand out compared to the software samples we'll create. The Discrete Drums samples fit right in and sound great."